When the cold weather hits we all want a hearty meal that is super warm and oh so good. 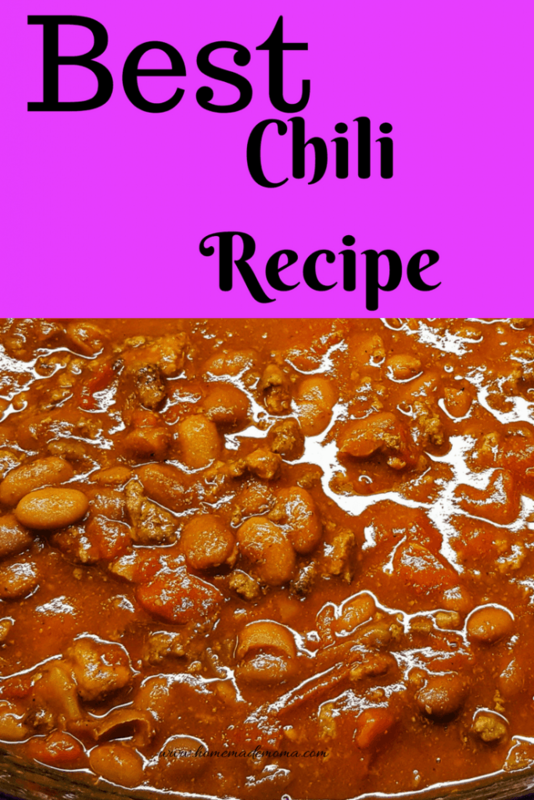 This is my favorite comfort food chili recipe slow cooker meal!! I have been perfecting it for years and finally it is perfect, a nice balance of slightly spicy and so delicious. It’s been so cold lately all I want is a hot bowl of chili to warm me up. Winter is not my thing it is to cold and going anywhere takes longer to warm up the car, clean off the snow and don’t forget about the drive that takes forever. Not sure how people don’t know how to drive in snow when they have it every year! I always am white knuckled on the way to anywhere because people are just plain scary drivers. They go to fast and stop suddenly in front of my car deciding they need to turn now!! I won’t get on the highway unless the roads are clear, I have these aweful final destination thoughts in the winter so i just avoid it as much as possible. To many fast drivers who aren’t paying attention. Last week our 2 year old son had a fever of 102.7 at 4am and by 11am it was 104.5 it jumped in 20 minutes from my last temp check. I jumped on the highway to get to the hospital as fast as possible and the roads were great. I had no time to warm up the car or bundle up, i even forgot my purse and had to run inside to get it. Scariest moment of my life! He was so miserable and pale, by the time we got to the hospital he was becoming lethargic. He wouldn’t take medicine or drink anything for me so we had to go now. 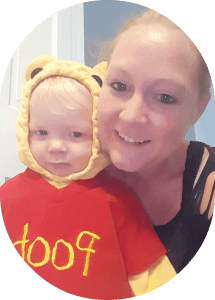 As a mom your head starts spinning and you have to fight to not panic when inside your head you are screaming no, and want to break down and cry! He is okay they got his temp down and we had to give him ibuprofen and Tylenol alternated every 3 hours. His fever went away after 24 hours and he finally ate a meal a few days later. Turns out he has a cough and is teething not sure what caused such a high fever though. Times like these that make you appreciate life and having the ones we love. At any moment it could be stripped away so cherish the time you have with your family and friends. When you are overwelmed remember how happy you are to still have them in your life! I hope none of you are going through this aweful flu and horrifying experiences. This year it is very bad, so many sick and lots of deaths especially children. Makes you paranoid when you go to the store or doctors office wondering if any sick people touched the cart or are in the store. I always wipe down the cart before I touch it or put my son in it! You never know what someone has that touched it last. I’m kind of a germ afobe anyway so I get real freaked out by this flu. Ugh can’t wait for summer, even spring would be fine as long as the snow and ice are gone and flu season is over. The only thing I do like about winter is the food haha I love food! Winter comfort food is the best!! Soups, casseroles, stews, chili, all these foods make winter tolerable for the many months it is here. 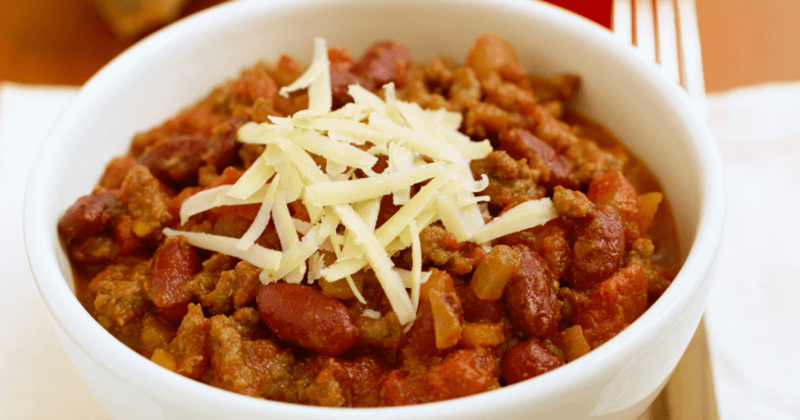 This is such an easy chili recipe slow cooker meal, just dump and go. I love recipes like this that save your evening so your not in the kitchen struggling with the kids wanting attention and trying to cook at the same time. Here is the awesome chili recipe! This is super easy to make and you can use turkey, beef, or venison for this whatever you prefer. Cut up your veggies cook them in a pan for 5 minutes then add your meat and cook until done. Throw everything in your slow cooker and turn it on low for 7 to 8 hours. When it comes to chili the longer it cooks the better so start it in the morning and it will be amazing by dinner time!! Add in meat until cooked through. If cooking venison don’t over cook or it will be rubbery. Add seasonings while meat is cooking. Spray slow cooker for easier cleaning turn on low. Add in beans, tomatoes, tomato paste and cooked meat and veggies. Serve with crusty French bread, grated sharp cheddar cheese and whatever toppings you like. We love to add just the cheese and saltine crackers with French bread and butter. 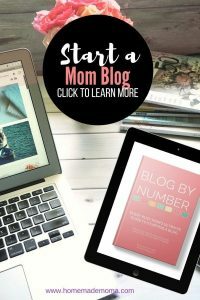 Pin this post to Pinterest to make again!!! !